What a week! This was a very exciting one for me - my first live, on-air interview (more on that below), plus an appearance as Ms. Wheelchair USA at the gala for the local chapter of the Muscular Dystrophy Association. When we were young, my sister and I were actually on the local MDA telethon a few times, and were Junior Goodwill Ambassadors for a year, so it was nice to be reconnected with the organization! Quick update on the All-In Silent Disco on March 29th as part of the Inclusive Innovation Summit - the Facebook event page is live here. It's free, going to be so much fun, and I hope that you can join us! On to the weekly favorites! 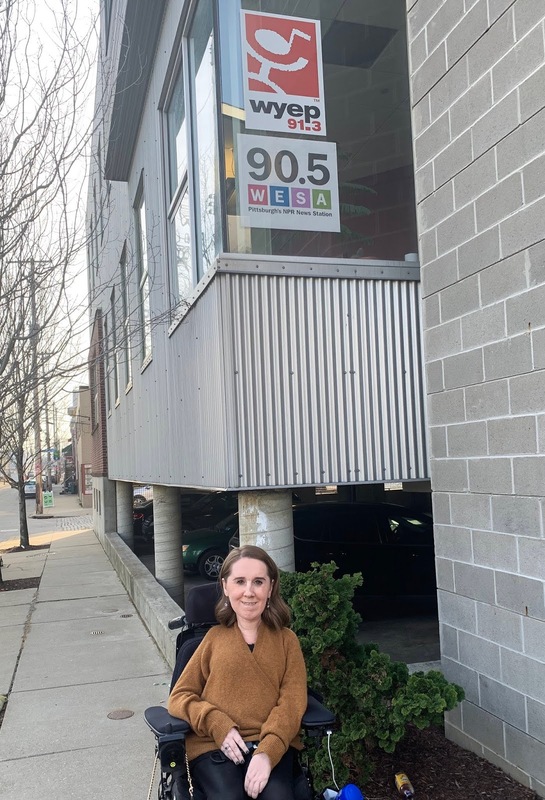 The team at 90.5 WESA reached out to me after reading my Public Source article and told me they were interested in having me on the show. This was so cool and I was so excited! I love spreading the message about my advocacy, and the experience of my first-ever live interview was just really amazing. I go through phases with podcasts... I'll be really into them for a while, and then I'll need a break. But I'm always looking for new ones. I've loved a few on this list (Gilmore Guys, S-Town, the first season of Serial), and am looking forward to trying a few more. I am SO excited for this show to come back! The trailer looks great and I can't wait - July can't come soon enough. These are already on their way to me and will be here sometime next week! I love my Airpods, but have been having some sound quality issues on phone calls (and I'm out of warranty). I have been waiting it out, not wanting to buy a replacement pair until the newest version arrived. I love wireless charging (it's hard for me to plug and unplug the wire for charging) and am looking forward to a longer talk time between charges too! I listened to The Dropout, the podcast about Theranos/Elizabeth Holmes. It was fascinating. Every episode went by so fast! I also really liked season 3 of Serial.